August 24th marks the 25th anniversary of Hurricane Andrew striking the south Florida Coast back in 1992. To this day Andrew remains one of only three Category 5 hurricanes to ever make landfall along the US Mainland. At the time of landfall, it was the costliest hurricane in our nation’s history, causing over $26 million in damages. Although Hurricanes Katrina and Ike (2005 and 2008, respectively) have since passed Andrew on this list, its impacts will not soon be forgotten. 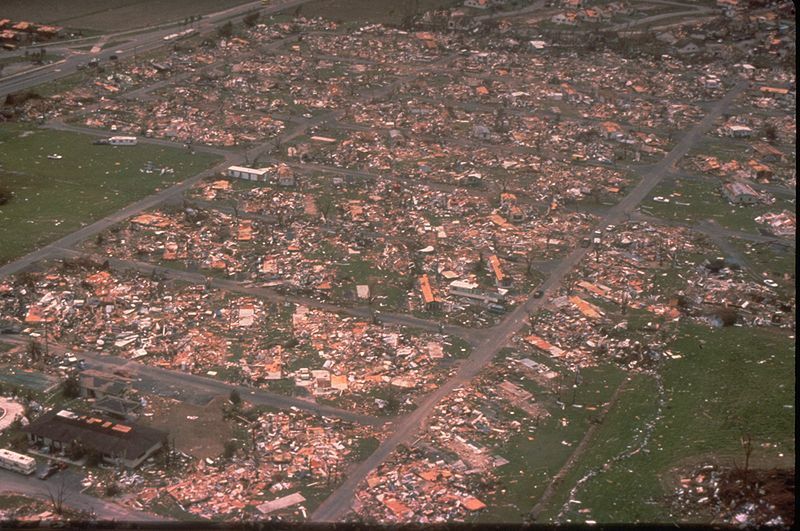 Additionally, the storm was responsible for 26 direct fatalities, including 15 in the state of Florida alone. Besides this area, Andrew also impacted parts of the Northwest Bahamas, and the US Gulf Coast…including the southern coasts of Alabama, Mississippi and Louisiana. Andrew was born out of a tropical wave over the Central Atlantic Ocean during the early morning hours of August 17, 1992. Initially, strong wind sheer prevented the system from developing quickly, as the system remained a tropical storm for the next several days as it moved in a general west-northwest direction towards the Bahamas. This proved to be the ultimate downfall for the US, for if Andrew were to have strengthened more rapidly, the storm would have likely recurved out to sea due to a weakness in the Bermuda High. This was not the case however, and Andrew did not intensify to hurricane strength until the morning of August 22nd…over 5 days after originally being classified. 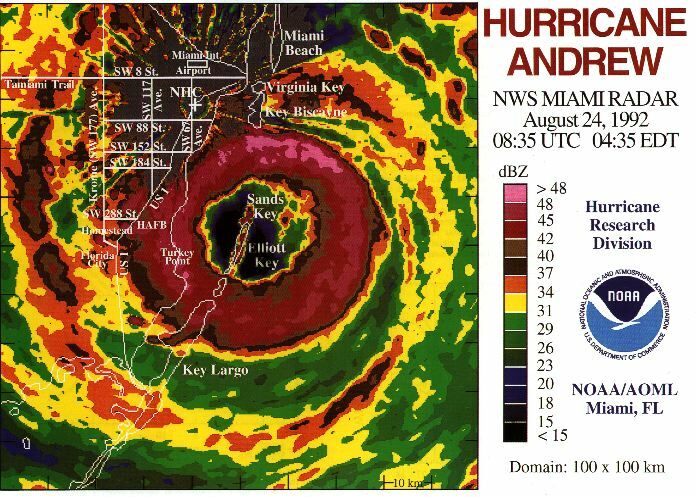 After that, in a much similar manner to Katrina over 10 years later, Andrew began to rapidly intensify and quickly strengthened to a Category 5 storm with winds of 175 mph just 30 hours after becoming a minimal hurricane. From there, Andrew turned due west, slamming into the Bahamas and later Florida with sustained winds close to 160 mph, and gusts to 220 mph. The damage caused was quite unprecedented, as nearly 1 million homes were either severely damaged or completely destroyed after the storm produced nearly 14 inches of rainfall, a 15-20 foot storm surge, and several tornadoes across southern Florida. 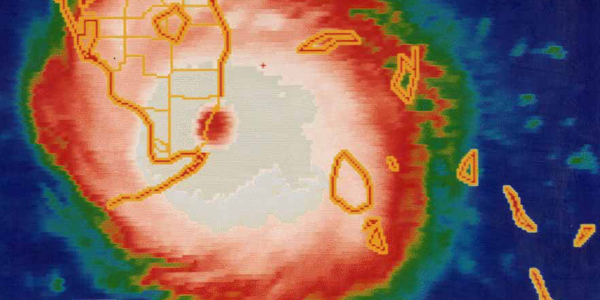 The worst conditions were felt across the heart of Miami-Dade County, just to the north of Homestead, Florida, where the system made landfall early on August 24th. After wreaking havoc across the peninsula, Andrew entered the Gulf of Mexico and later made a second landfall along the Louisiana coast on the 26th before eventually dissipating across the Southeast by the 28th. The remnants of Andrew even caused rainfall and minor flooding up through the Ohio Valley and into Upstate New York nearly a week after dissipating. One important lesson that can be learned for Andrew is that even in relatively quiet years in terms of tropical activity, it only takes one storm to make a lasting impression. Similar to this year, 1992 was characterized by El Nino conditions across the basin. As a result, there were only 7 named storms the entire season, with just 4 going on to become hurricanes. This just goes to show you that hurricane activity does not always correspond to landfall potential. That is why it is important to take the proper precautions every year, as it is better to be safe than sorry.